Raqqah was the first provincial capital captured by opposition forces from the Assad regime in early 2013, including Free Syrian Army units and the al-Qaeda–linked Jabbat al-Nusra (now Hay'at Tahrir al-Sham). 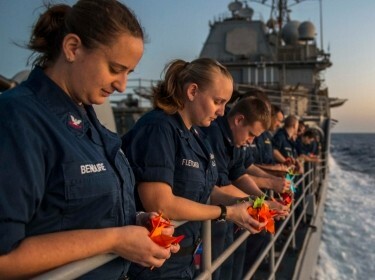 Following ISIL's successful efforts to consolidate control over the city from these groups in January 2014, Raqqah then served as the capital of ISIL's global caliphate and a stronghold for ISIL leadership and governance within the Syrian portion of ISIL's territory. The group took significant strides to rule Raqqah as a traditional state would, including rebuilding damaged infrastructure, opening schools, managing hospitals, establishing law and order through a local police force, collecting taxes, and establishing a civil service. Overall, the RAND team's satellite-based indicators of economic activity offer clear evidence that the group was a successful steward of Raqqah's economy for most of its tenure, with some modest strain beginning to appear in the availability of electricity and internally displaced person (IDP) outflows throughout late 2015 and early 2016. As with Mosul, this analysis predates operations to liberate Raqqah, which began in mid-2017. In March 2013, Raqqah became the first Syrian provincial capital to fall to opposition forces in the nascent rebellion against the Assad regime. Within a month of its seizure—by April 2013—ISIL begin to compete against other opposition forces for control over Raqqah. The city’s economy was badly affected by ISIL's bid to unilaterally control the city in late 2013. Following several weeks of often-violent infighting between ISIL and competing opposition groups, the city's infrastructure was reportedly "completely paralyzed," with key economic infrastructure, including bakeries, inoperative and no power, water, or health services available as of January 2014. However, ISIL moved quickly to rebuild the city. Within three months, water, electricity, and bread were readily available; schools and universities had been reopened; and the private sector began to function once again. A key component of ISIL's efforts in Raqqah to drive this rapid recovery was the establishment of civil institutions to manage public services for the city. 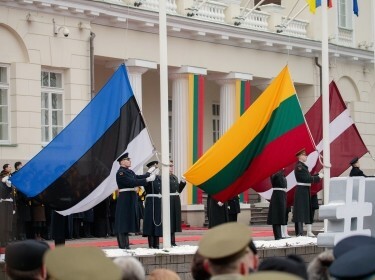 This included a consumer protection office and civil judiciary; an electricity office, responsible for monitoring consumption, setting prices, and repairing electricity infrastructure; a post office; an office charged with receiving complaints about services in the city, and institutions for managing health care provision, education, and job matching, among others. The first major shock to electricity consumption in the city occurred in October 2014, when nighttime lighting levels dropped to just 28 percent of their January 2014 levels. Despite modest gains in nighttime lighting over the course of early 2015, coinciding with ISIL's efforts to add generator capacity to the city at this time, electricity levels in September 2015 returned to around 30 percent of their January 2014 levels. Nighttime Lighting in Raqqah This video of nighttime lighting in Raqqah from January 2014 through May 2016 is based on monthly composites of satellite images of the city at night. The first major shock to electricity consumption in Raqqah came in October of 2014. Low levels of electricity seen in nighttime lighting images are not simply a product of reduced electricity supply. One report from January 2015 noted that such shortages might be the product of ISIL choosing to sell energy from hydroelectric dams under its control to the Syrian regime rather than provide electricity locally to Raqqah. Furthermore, low levels of electricity consumption in Raqqah in September 2015 also coincide with the group shutting off water flow through the Tabqah Dam upstream on the Euphrates at this same time, which is responsible for much of Raqqah's electricity supply. ISIL appears to have reconstituted electricity supply to the city in some form through the winter of 2015 into early 2016. This is despite the overall crunch in the availability of fuel resources across the caliphate associated with coalition air strikes against the group's oil facilities, Operation Tidal Wave II, and suggests that ISIL was devoting limited fuel resources across the caliphate specifically to Raqqah or choosing to focus its hydroelectric generation capacity toward its capital. It also demonstrates the ability of ISIL's bureaucracy to rapidly and successfully repair local infrastructure— French air strikes in November 2015 briefly knocked out electricity to the entire city, and local engineers working for ISIL successfully repaired the grid within a day. The electricity boom over the next few months was short-lived, however, with nighttime lighting falling once again by April and May 2016 to the lowest levels seen since 2014. Researchers also examined how nighttime lighting differed across types of critical infrastructure and commercial locations in Raqqah. Significantly, they found that, over the course of 2015, Raqqah's hospitals were overwhelmingly more electrified at night than any other types of infrastructure tracked in Raqqah. This could suggest that ISIL prioritized public health provision within the city, or that the group was using hospitals for military purposes or as a means of protecting its forces from air strikes. Raqqah's population is known to have fluctuated before ISIL took control of the city. In the early parts of the conflict between opposition forces and the Assad regime, Raqqah received an estimated 500,000 to 800,000 refugees from elsewhere in the country. These refugee influxes at least doubled, and perhaps quadrupled, Raqqah's population before the city was taken by opposition forces, including ISIL, in March 2013. ISIL would eventually establish complete control throughout Raqqah in January 2014. However, in the intervening months, Raqqah was contested, sometimes violently, by both government forces and the various opposition groups that had originally seized the city. Aerial bombardments by Syrian regime forces following the city's seizure resulted in what one nongovernmental organization described as the "highest level of displacement recorded to date," with an estimated 200,000 people fleeing this early violence. 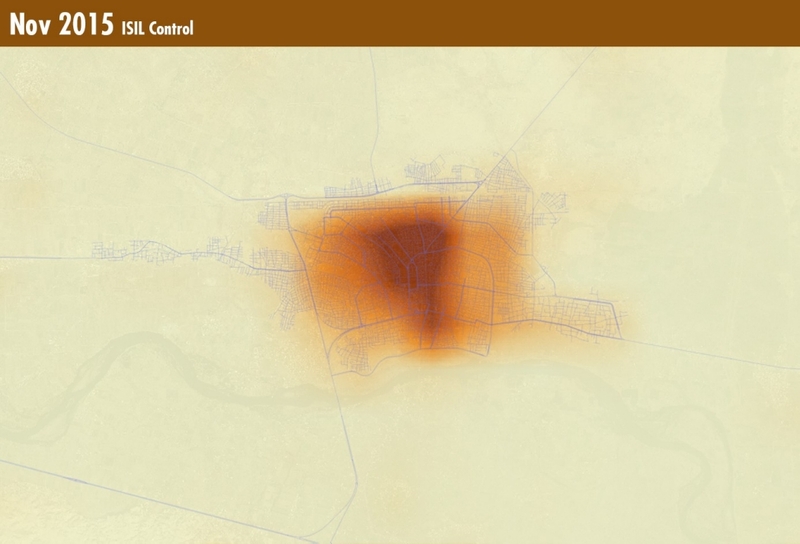 The RAND team used Landscan population data to assess how the population of Raqqah changed after ISIL took control of the city. They restricted their estimates to the urban core of the city, as opposed to its full environs, so total population figures might fall slightly below published estimates. Researchers found a significant uptick in population between 2008 and 2015 that is likely due to the significant refugee inflows into the city during the first two years of the Syrian civil war. However, over the course of ISIL's tenure through early 2016, researchers measured relatively consistent numbers of inhabitants in the urban core of the city. This suggests that the city's residents either did not seek to leave under ISIL control or could not leave based on ISIL-imposed restrictions. Ultimately, in the final available estimates from June 2016, researchers begin to see evidence of a significant downturn in Raqqah's population. LandScan estimates from June 2016 suggest that Raqqah's population fell by more than 25 percent from its November 2015 peak. As Kurdish and Arab fighters from the Syrian Democratic Forces made significant headway across northern Aleppo and Raqqah governorates in this time period, and, as the first efforts to plan for liberation of the city began in earnest in mid-2016, this offers early evidence of IDP flows in anticipation of liberation of the city. Population in Raqqah, determined using LandScan population data, fluctuated before and immediately after ISIL took control of the city, but then remained relatively constant over the course of ISIL's tenure through early 2016. In the final estimates from June 2016, however, Raqqah's population fell by more than 25% from its November 2015 peak. 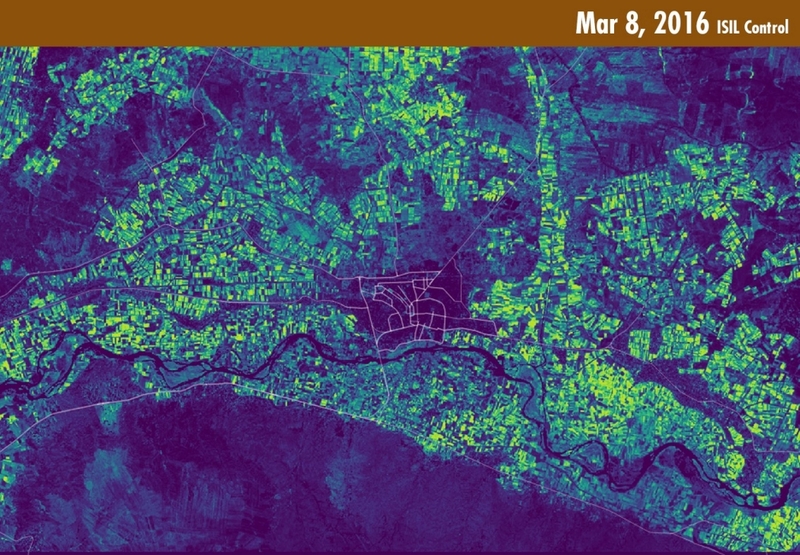 Researchers tracked the average Normalized Difference Vegetation Index (NDVI) for all areas within 5 km of Raqqah's urban core, and plotted changes in NDVI over time since April 2013. The data show seasonal spikes in spring and fall of each year, corresponding to peak harvest for wheat (in the spring) and rice (in the fall) according to data on Syrian agricultural production provided by the Food and Agriculture Organization of the United Nations. Peak NDVI values for 2014 far outstrip their 2013 values, but NDVI appears to fall afterward in 2015 and 2016. However, acknowledging massive rainfall in 2014, which might be driving these results, the intensity of agricultural activity in Raqqah's surrounding agricultural areas appears to remain relatively constant over the course of ISIL's control of the city. 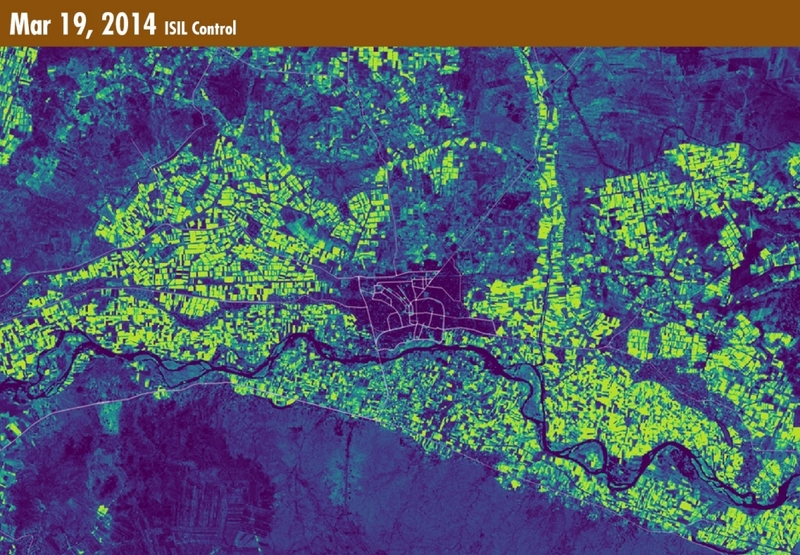 Agricultural Activity Surrounding Raqqah is measured using Landsat data on surface reflectance. NDVI allows researchers to differentiate vegetated areas (green) from deserts, built-up areas, or bodies of water (dark blue). Researchers use data on damage and destruction to understand how violence might have directly or indirectly affected other indicators of economic activity. 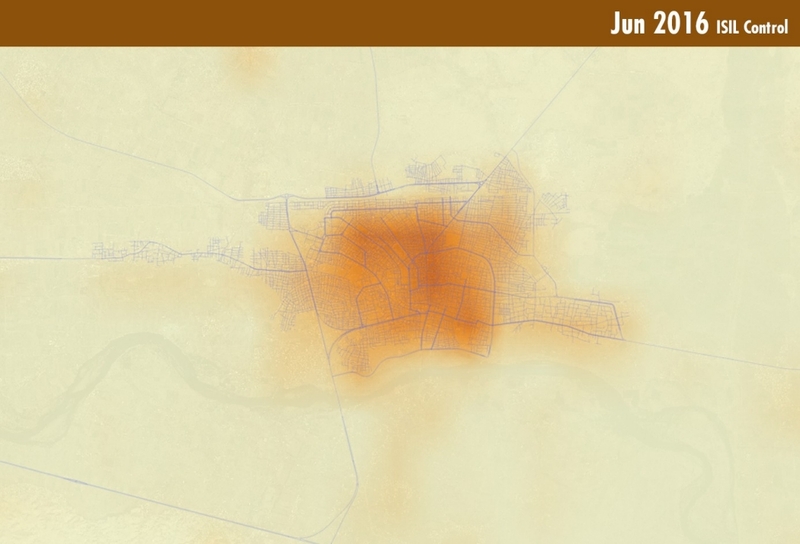 They used crowd-sourced analysis of commercial satellite imagery to map buildings, roads, and infrastructure in Raqqah that are damaged or destroyed over time through mid-2016. 2014 estimates suggest that some damage to the city did occur during ISIL's initial takeover. By February 2016, damage to Raqqah (predominantly from air strikes) is more widespread, but still largely sporadic across different clusters within the city. 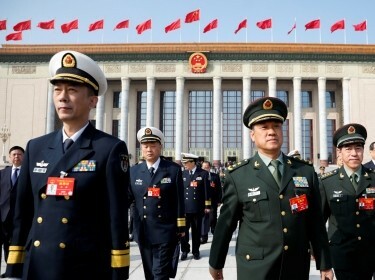 These instances of damage differ from levels of destruction seen in other cities in that they are primarily due to air strikes rather than ground fighting or improvised explosive devices. They often represent damage to certain buildings or pieces of infrastructure of military importance to the Islamic State, rather than wholesale, indiscriminate damage to portions of the city's residential neighborhoods. This is not to say that such damage had no impact on Raqqah's local economy through mid-2016. 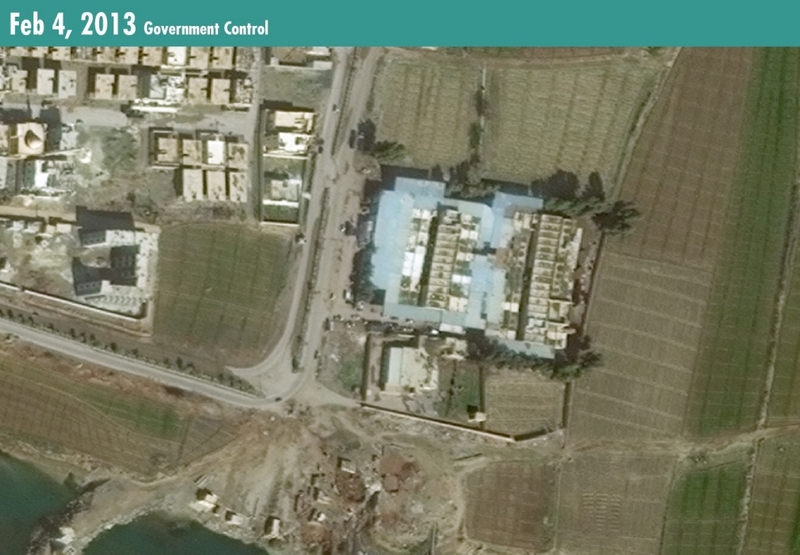 In the below images, air strikes appear to have destroyed three local government security offices in a compound on the southern end of Raqqah with little potential for adverse economic impact to the city. 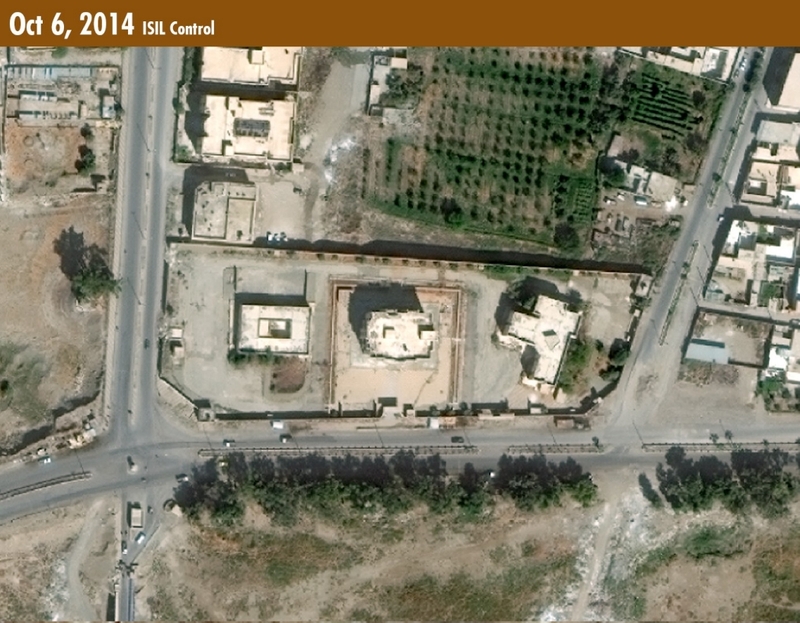 Interestingly, ISIL appears to have removed the rubble from these facilities rather than leave it publicly damaged, perhaps to avoid the appearance of susceptibility to airpower or perhaps to pave the way for future reconstruction of the location. Damage in Raqqah occured during ISIL's takeover in 2014, but became more widespread by 2016 (predominantly from air strikes). Above, three local government security offices on the southern end of Raqqah appear to have been destroyed by airstrikes. 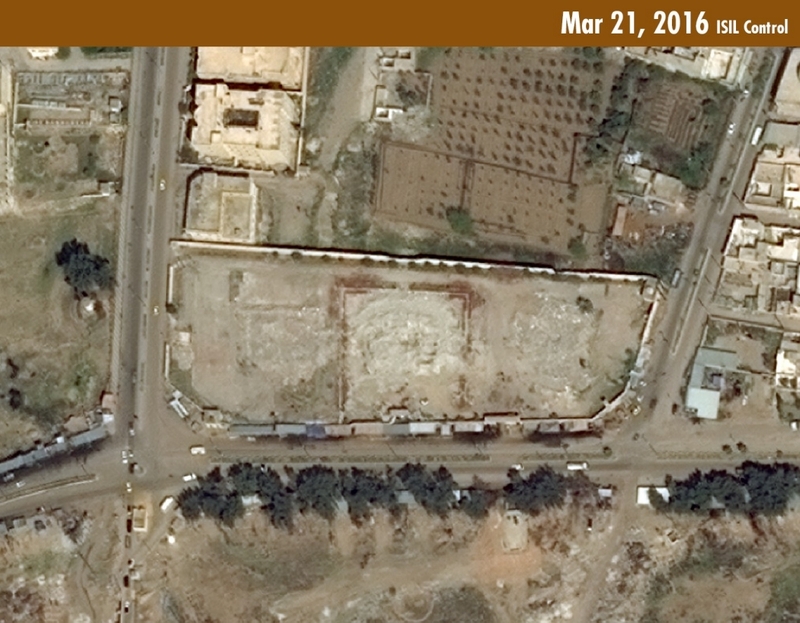 ISIL appears to have removed the rubble from these facilities. Market activity in Raqqah was examined using commercial satellite imagery of the city over time. These estimates varied a great deal over time, but the lack of a clear time trend over the course of ISIL's control of the city suggests that little changed from when the group first moved into Raqqah in 2013 until the end of the estimation period in 2016. Researchers also measured nighttime lighting at two key commercial locations in the center of the city, the 23 February street market and the al-Naim roundabout. The al-Naim roundabout was traditionally one of the busiest intersections in the city, but reports from February 2014 suggested that "daily activity has almost completely come to a halt." Under ISIL control of the city, the roundabout was the primary location used for public executions of those accused of violating ISIL's strict religious law. Nighttime lighting captures the importance of this area in the city. Relative to January 2014 levels, the al-Naim roundabout has significantly higher levels of nighttime lighting than other markets, commercial areas, and the whole city of Raqqah on average, particularly over the course of 2015, when overall nighttime lighting was reduced across the rest of the city. Below are two images of a market location in southern Raqqah, which is more active under ISIL control in March 2016 than under Assad regime control in February 2013. Market Activity in Raqqah was determined using crowd-sourced estimates of activity. Online participants would rate images of markets like the ones above on a scale from no activity (0), to limited activity (1) to significant activity (2) so as to be able to compare activity levels over time. Satellite-based indicators of economic activity offer clear evidence that the group was a successful steward of Raqqah's economy for most of its tenure. Agricultural activity measured through satellite-based sensors showed relatively consistent harvests each year from 2013 to 2016, and thermal activity in industrial areas in the city was also consistent over time. 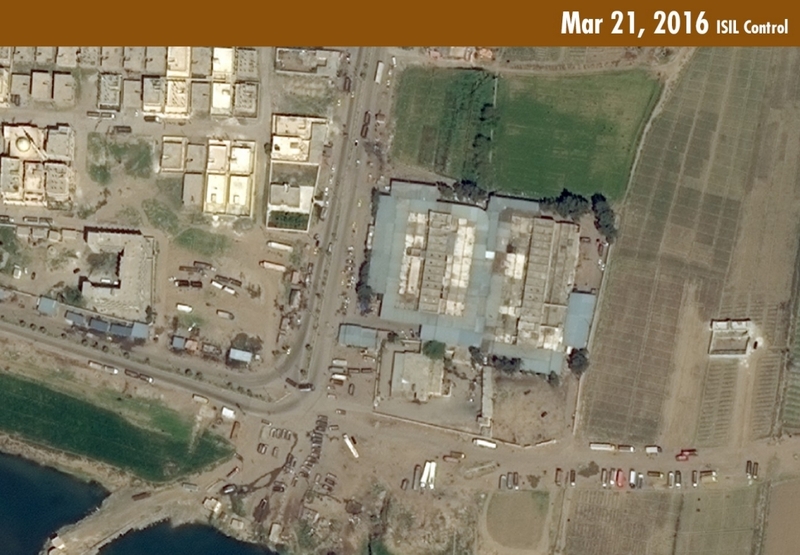 According to crowd-sourced analysis of overhead satellite imagery, Raqqah's markets remained steadily active since 2013. Commercial vehicle traffic actually increased under ISIL control relative to the pre-ISIL period of opposition infighting for control of the city in late 2013. Furthermore, analysis of nighttime lighting across critical infrastructure in Raqqah reveals that hospitals were consistently better lit at night than markets, industrial areas, or residential areas. 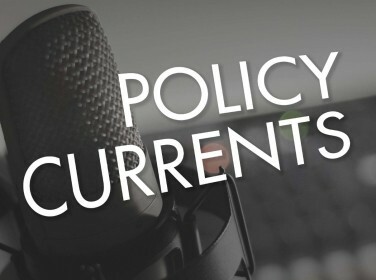 This suggests that the group might have prioritized health care provision over other services; whether for its own fighters or for local residents is unknown. Despite these successes, parts of Raqqah's economy under the Islamic State appear to have struggled. Researchers found that ISIL control led to significantly reduced electricity consumption in the city, with nighttime lighting as of mid-2016 falling to only 30 percent of its January 2014 levels. This is despite ISIL's uncontested control over the nearby Tabqah Dam, which produces the vast majority of Raqqah's electricity. ISIL's mismanagement of this facility in 2014 led to an insufficient supply of drinking water, water for irrigation, and electricity supplies for several months until the situation was later resolved. Although estimates suggest that the city's population was largely constant over the course of 2015 and early 2016, researchers find later evidence that major refugee flows out of Raqqah began in the summer of 2016. This suggests that city residents were either satisfied with ISIL's early governance, or fearful of leaving the city earlier as a result of ISIL-imposed restrictions on out-migration. When refugee flows out of Raqqah did begin in earnest, they coincided with increasing advances by Kurdish opposition forces throughout much of northeastern Syria over the course of 2016. Alternatively, this timing could suggest that earlier refugee flows out of Raqqah were offset by influxes of ISIL's own fighters and that the rate of foreign-fighter flows into Raqqah declined over the course of 2016. These findings paint a nuanced picture of the Islamic State and Raqqah's economy—that of an authoritarian insurgent group with some success rebuilding and governing the economy of its symbolic capital but beginning to struggle under the weight of the larger conflict in which it operates. Despite the group's draconian system of social regulations, taxes, and use of coercive violence, people still went to the market, commercial trucks still drove the streets, and the fields remained cropped. But signs of volatility and decay as of mid-2016 are troublesome for Raqqah's long-term prospects post-liberation—most notably, in terms of the city's wavering access to electricity, increasing rate of internally displaced person flows, and the potential for strain on the city's economic infrastructure from fighting to liberate the city. Unlike Raqqah, the strategic Sunni town of Ramadi in Iraq was long-contested by ISIL forces, but only briefly held before it was relinquished in January 2016. 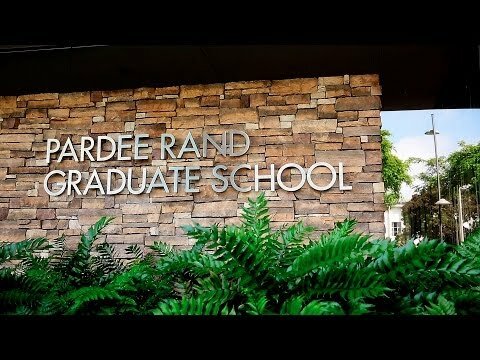 The case study of Ramadi offers a chance to expand the implications of this research to include areas only briefly controlled unilaterally by the Islamic State, as well as those already liberated and experiencing the initial stages of economic recovery.